Disclaimer: I was provided a hotel night’s stay at the JW Marriott San Antonio for purposes of this review. However, all the comments and photos are my own. Last week we took on the challenge if it possible to see Austin in two hours with a five-year-old. 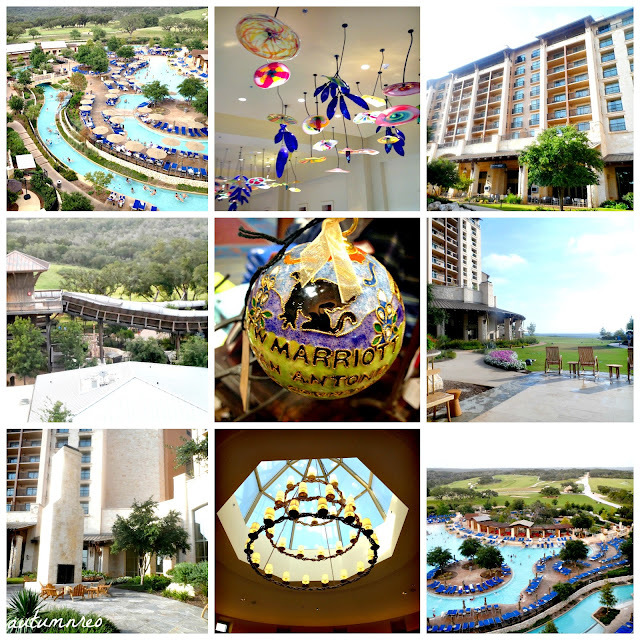 This week, I’m excited to share part three of our Texas Hill Country adventure: our stay at the JW Marriott San Antonio. 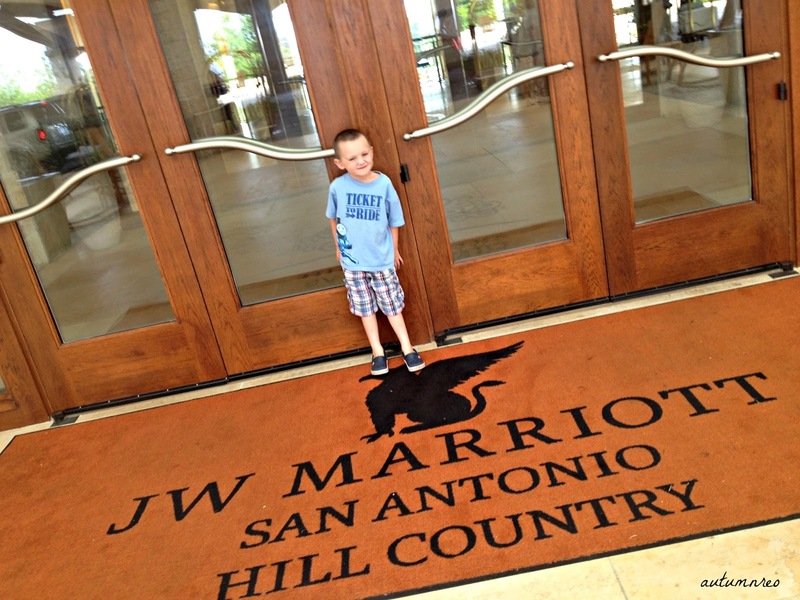 After more than an hour on the road after our Austin Duck Tour, we were ready to get a little R&R at our hotel, the JW Marriott San Antonio. 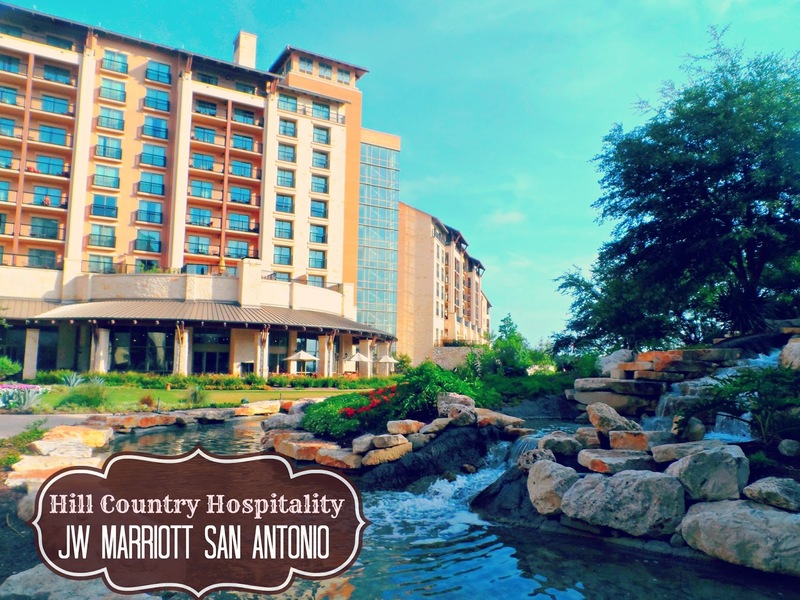 While I had stayed in San Antonio many times, it was nice to see another part of the area, especially one that was as devoted to the Texas Hill Country as this hotel works to be. Additionally, as it also emphasized family, I was really excited to let my little man go crazy at their water park area at the resort. Perhaps I was also really excited to get in the Lazy River with a drink in my hand as well. After all we had done a lot of work that day, so it was time to enjoy ourselves. The suspense of driving through the hills was about to kill me when we finally reached Oz…I mean the JW Marriott San Antonio. Nestled in the heart of Texas Hill Country in the Cibola Canyons, the JW Marriott welcomes you from the moment you lay your eyes on it. And soon as you open your car door, there’s a staff member ready to welcome you, assist you with your luggage, open the doors and lead you straight to the check-in desk. Just taking a walk around the property, there was something fun to find and admire, especially the large number of conversation areas. All over the resort you could find all kinds of nooks and crannies designed to make you take a load off, get comfortable and either enjoy your alone time or strike up a conversation with someone around a beautiful outdoor fireplace or overlooking the picturesque landscape. One of the coolest features I would be remiss to mention was the River Experience. Appropriately named from the nearby Riverwalk in San Antonio and the nearby rivers that attract floaters, the River Experience is enough reason to keep you at the resort and not have to venture out at all. While we really enjoyed the lazy river, the water slides proved to be a great time for both of us. And I really loved the outdoor bar area which felt a lot more like a Mexican vacation than a four-hour jaunt from home. However, the nightly smores offered to guests to roast over an open flame were the highlight of each evening. And believe me, even if you didn’t bring your kids, adults were lined up to get their little taste of graham-cracker-marshmallow-chocolatey deliciousness! And it would be an experience from me if it didn’t mention the FOOD! While there so many options from casual to white tablecloth on property, we chose to dine at Cibola Moon, the hotel’s main dining establishment for Texas cuisine. Finding the perfect view al fresco, we were able to enjoy dinner together and then when little man was ready to get up, only a few steps away, he could play in the grass while I enjoyed my drink. It was like an open green space for families to enjoy the outdoors together. I definitely recommend the bacon-wrapped scallops and the homemade papardelle pasta with spit roasted chicken, mushrooms and bacon (and yes, I added a little spinach to mine too! 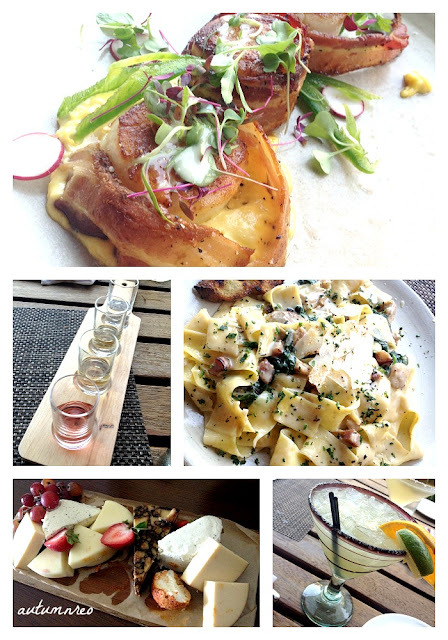 And let’s not talk about the tequila flight; let’s just say I slept well! While we were pretty happy just hanging out at the JW and didn’t even get to check out the kids’ club (the onsite hourly “camp” that allows mom and dad to enjoy the spa, golf or a quiet dinner at the property), it was time to get along to continue our Hill Country journey – Hello, Schlitterbahn! And if you want to get caught up on our road trip adventure in the Toyota Highlander, check out our first adventure in West and How to See Austin in Two Hours with a 5-year old! We live in Dallas and have been wanting to visit San Antonio. This looks like a great place to stay. We stayed at a J.W. 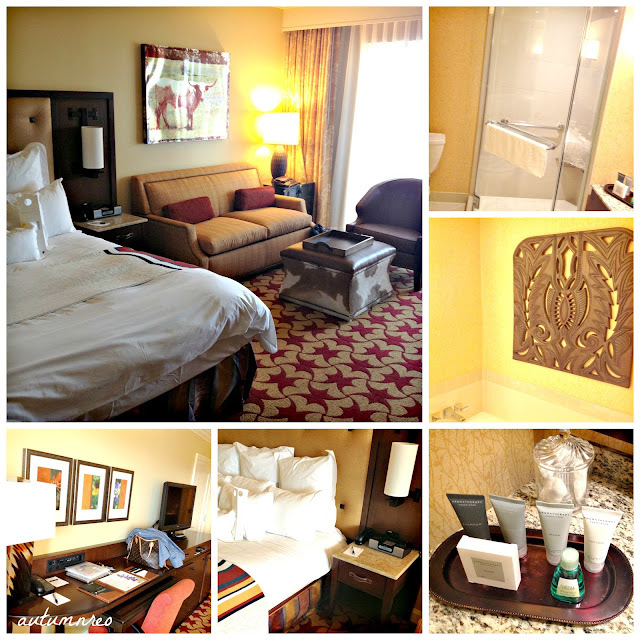 Marriott in Summerlin, NV and it was amazing. I think that we would like this one too! Oh it was lovely. Kinda like the Gaylord, but nice to be outdoors and enjoying Texas! I highly recommend it! A friend of mine just stayed there and it looked so fabulous! I definitely need to spend a weekend there. OK I know where I’m staying when we visit San Antonio!! WOW! The water park looks like so much fun and everything just looks so GORGEOUS! this looks like such a relaxing stay!!! everthing is so beautiful. 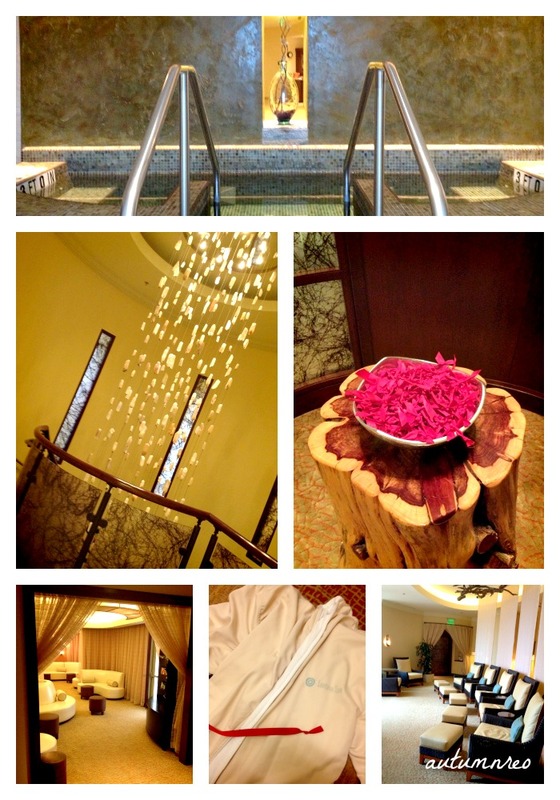 Yes, I really appreciated from Martha, This information is really relaxing and everything is beautiful. Thanks dear for sharing nice information with us ! God bless you. Oooohhhhh…another quick vacay option. Adding this one to the list!